With three races left in the 2017 season, the OSCAAR Modified Championship standings are closer than they’ve ever been with intrigue surrounding who will walk away with the title. Going into Sunset Speedway’s Velocity 250, AJ Emms currently holds the advantage by a mere four points over Luke Gignac. Though if they slip up, there’s another four drivers within 36 markers, ready to strike. Before we take to the track this weekend, here’s a glance at the season’s so far for each of these drivers, and how they’ve performed at each of the upcoming tracks. Season To Date: Through the eight races this season, Emms has placed inside the top-eight each week, with seven top-fives. Everything came together in the most recent event at Sauble Speedway for his first victory of 2017. Sunset Speedway History: Emms has had success previously, scoring a ninth-place finish in August 2015. Flamboro Speedway History: Since placing 13th in his rookie season, Emms has backed it up with seven straight top-seven finishes, including a runner-up in each of the last four events. Peterborough Speedway History: Last season, Emms was strong at Peterborough Speedway, picking up a runner-up before winning the Autumn Colours Classic. Outside of that, he has two finishes outside of the top-seven. Season To Date: In eight events this year, Gignac has scored seven top-10’s, including six top-fives. The ADAMS Motorsports team has speed, having visited victory lane twice this season. Sunset Speedway History: First appearance behind the wheel of a modified at the oval, but has previous experience there in a super stock. Flamboro Speedway History: In six races, Gignac has only posted one finish outside of the top-six, and that was when he broke while running second. Oh, and it was the sigh of his first career victory this season. Peterborough Speedway History: He will get to start on the pole as he was your 2017 Chase for the Colours winner. Outside of that, well, last year didn’t go as planned in either event. Season To Date: While the top-two have been ultra consistent, Chris Milwain has only six top-10’s to date. However, he has been fast just like the pair, scoring two wins at Flamboro. Sunset Speedway History: He scored a fifth-place finish there in August of 2015. 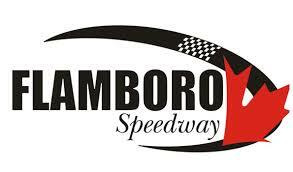 Flamboro Speedway History: In seven previous starts, Milwain has posted only one finish outside of the top-eight, including a pair of wins this season. Peterborough Speedway History: His most recent start there was his best with a third. Outside of that, he scored a sixth and a 10th the past two years. Season To Date: Like always, the Ironman has been solid with seven top-10’s, including three top-fives. He has yet to win a race this season, though, scoring a season-best second at Sauble in July. Also, he missed one event, but put Rob Di Venanzo behind the wheel, who picked up a third-place finish. Sunset Speedway History: Historically, Sunset Speedway has been a good track for him statistically with three top-sixes in five starts, including a runner-up. Flamboro Speedway History: In nine previous starts, each of his finishes have been inside of the top-seven, with only three of those outside the top-five. Notably, it was also the sight of his first career OSCAAR Modified victory. Peterborough Speedway History: He has posted a top-10 in each of his five previous starts, with a best finish of sixth this year. Season To Date: Through the first seven events, Horner was solid with a top-seven each week, including a pair of victories. Unfortunately, James Horner piloted the No. 79H at Sauble, and a heat crash resulted in a 14th-place finish on the night, dropping him in points. Sunset Speedway History: He knows how to get around Sunset Speedway, posting three podiums in three starts. Flamboro Speedway History: In his last nine starts, he has only posted two finishes outside of the top-10, with a track-best runner-up in 2015. Season To Date: With six top-10’s this season, Harper has proven he was quick on a weekly basis – despite a 15th in the first half of the year. He also has yet to visit victory lane, scoring a season-best second at Peterborough in August. Sunset Speedway History: He was solid in his last appearance at Sunset Speedway, as well, scoring a fifth-place finish. Flamboro Speedway History: Admittedly, the results have been mixed for Harper. He has two wins and three top-fives – along with four finishes outside of the top-10 in his last 10 starts. Peterborough Speedway History: His last five races have produced no finishes outside of the top-six, including a runner-up at this year’s Chase for the Colours. FIVE THOUGHTS: St. Onge Recreation Super Stocks….